Works “unspool” in the Woodberry Poetry Room. 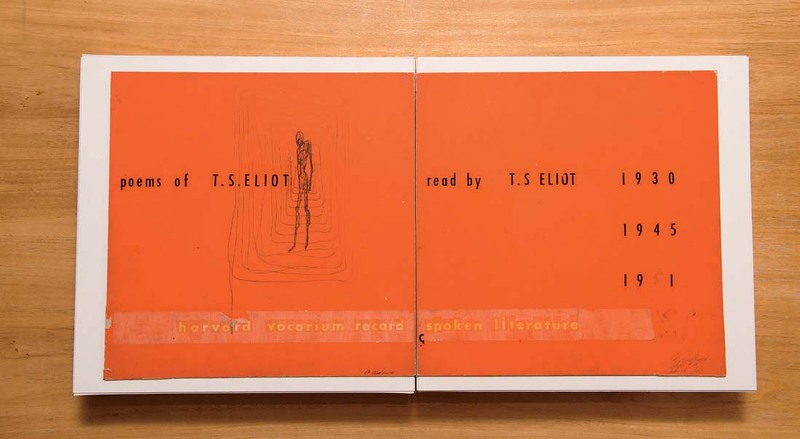 A 1948 record from Frederick C. Packard’s Harvard Vocarium label, T. S. Eliot: Reading His Own Poetry, on a turntable in a console designed by Alvar Aalto and engineer Jack L. Weisman. The Packard Collection includes metal parts used in manufacturing (pictured here in a paper sleeve). Four stages in the production of a T.S. 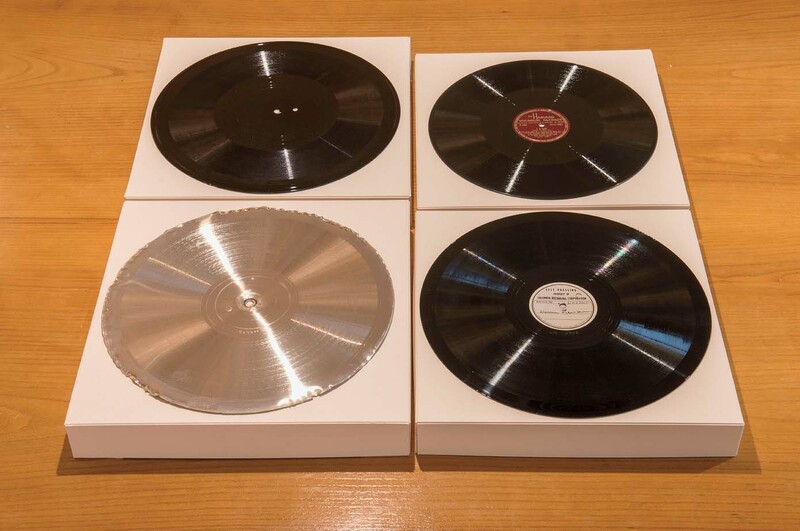 Eliot disc (counterclockwise from upper left): lacquer disc, metal master, test pressing, and produced vinyl disc. 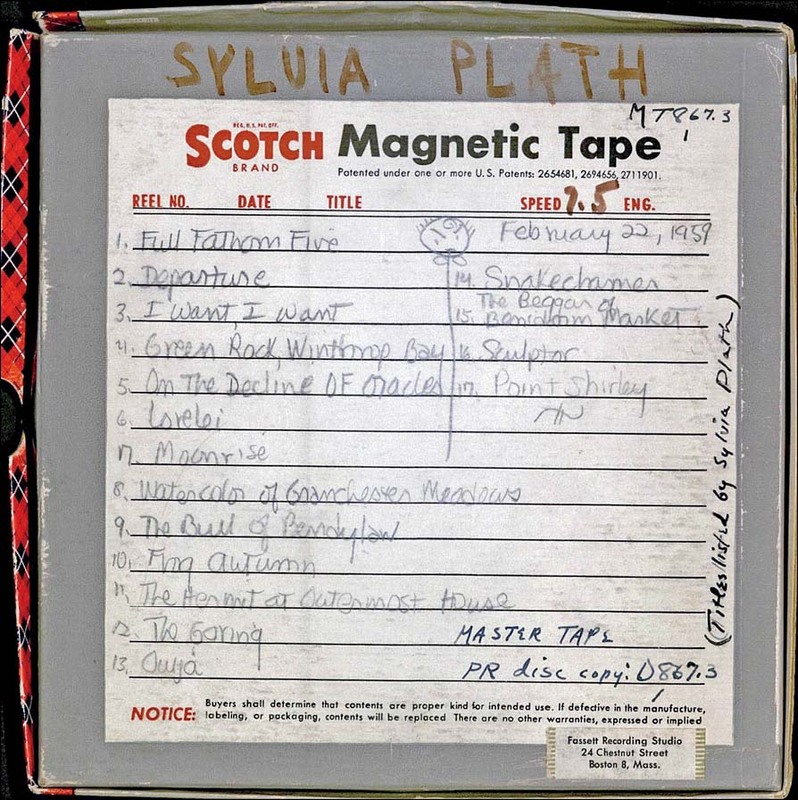 The Woodberry Poetry Room's audio archive includes rarities like this early recording of Sylvia Plath, featuring the poet’s own handwriting. Packard had always loved the spoken word: he produced amateur plays around Boston while at college, and afterward pursued an acting career in New York and Europe before returning to his alma mater to conduct linguistics research and help students and faculty with speech impediments. He also loved literature, especially the way it sounded, and at studio set-ups scattered around campus—in the Germanic Museum, the Cruft Memorial Laboratory, the basement of Memorial Hall, and elsewhere—he pursued another of his eccentric projects: the Harvard Vocarium, one of the earliest commercial recording labels for poetry. 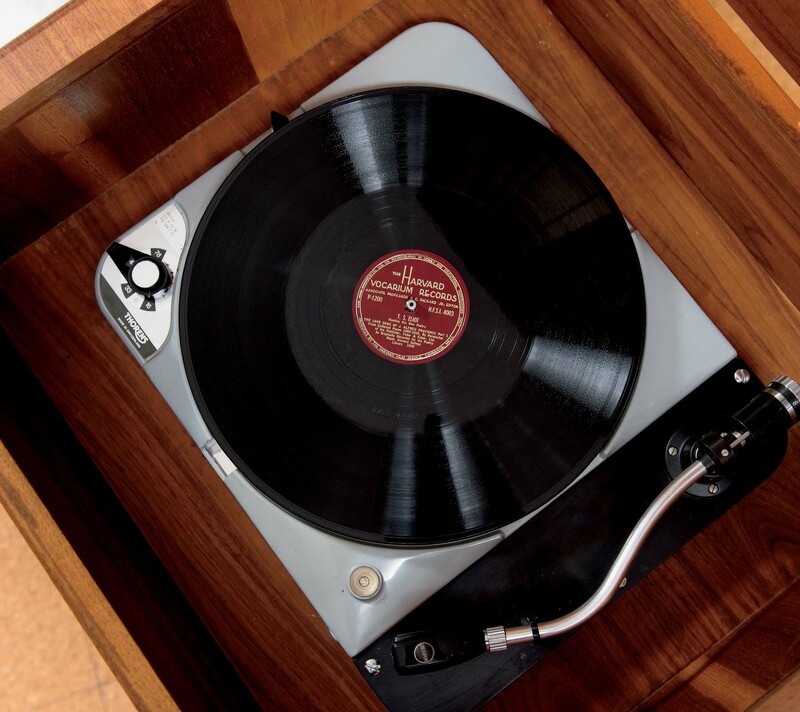 Its first few records were released in 1933and featured T.S. Eliot, A.B. 1910, Litt.D. ’47, but slotted the future Nobel laureate in what seems today a peculiar lineup—alongside recordings of two Harvard professors reading from the Bible and Chaucer. The Vocarium started up just as sound recording technology was disrupting literary mores surrounding poetry and performance. Though poetry’s association with voice is as old as the art itself, the rise of radio in the 1920s dramatically reconfigured that relationship. It had long been assumed that poets were not the best performers of their work, Lesley Wheeler writes in her book Voicing American Poetry, but broadcast media made trained, polished voices ubiquitous. Audiences became more invested in the concept of writers’ authentic presence, as conveyed by their idiosyncratic, physical voices. Author readings became more common, while verse recitals by amateurs and professional performers alike fell out of favor; in schools, pedagogical weight shifted from elocution to interpretation. It became integral to the careers of poets like Robert Frost ’01, Litt.D. ’37, and Edna St. Vincent Millay to share their work with listening audiences—he in public events; she over the airwaves. Packard recorded whatever luminaries he could coax into a studio session while they were visiting campus: the now-famous voices of Tennessee Williams and Dylan Thomas, and others whose work in any format has grown obscure, like the political poet Muriel Rukeyser and 1938 Pulitzer Prize-winner Marya Zaturenska. But he also carefully cast professionals to read non-contemporary verse: English thespians Flora Robson and Robert Speaight were recruited to perform Shakespeare, and scholars pronounced whole albums of Anglo-Saxon and Latin poetry. Packard used his coinage “vocarium” to refer to an idea much more ambitious than his commercial label: he imagined a “library of voices” that preserved speech for posterity, a place people could actually visit to immerse themselves in words. One day, there might be “vocariums” in local schools and libraries all over the country. Fulfilling his dream of a space where the “talking book” could be appreciated alongside print text, the Woodberry Poetry Room was relocated to the recently opened Lamont Library in 1949. The space, specially designed by Finnish architect Alvar Aalto to emphasize listening, could accommodate 36 patrons at a central table and at auxiliary “listening posts,” where visitors could “browse”—eavesdropping at will on whatever others were playing at the time. Next door was the soundproofed Forum Room, where classes could gather for group listening sessions. (The “student motion picture group,” Ivy Films, also screened its first complete film there.) By 1950, the library had almost 500 discs in addition to its sizable book collection. The Harvard Vocarium label stopped publishing in 1955. Its exact cause of death is ambiguous—the venture was only sporadically documented—but funding had always been difficult to come by, and according to a 2011 interview with his granddaughter, Josephine Packard, Packard had begun to experience symptoms of early-onset Alzheimer’s. But he continued to gather and make recordings, and throughout the 1950s and 1960s, Poetry Room director John (“Jack”) Lincoln Sweeney assumed Packard’s mantle. He made recordings of poets from Sylvia Plath to Audre Lorde, and established a tradition of Harvard curators collecting the voices of the great writers of their moment, building sonic time capsules of contemporary literary culture. People from all over the world mailed him audio objects, sometimes only loosely related to Packard. The Poetry Room had to acquire special equipment to play some of the stuff, including a hand-built tape recorder and bamboo needles. “You just never saw such a strange collection,” he says now, chuckling. Davis likens the collection to an archive with several incarnations of a book—its final published edition, but also copyedits and galleys, and a stray handful of orphaned pages of the original manuscript, and then, perhaps, a reading with interesting annotations from generations of passing visitors. His desire to document the spoken word went well beyond the arts. In addition to the students he recorded for his speech clinic, Packard captured addresses by visiting dignitaries; he also acquired memorials, sermons, and many hours of Japanese language lessons. One record, labeled “hypophysectomy—rat. parapharyngeal approach, to accompany a 16 mm color film of that title,” contains audio from a medical surgery. “Packard seemed to see an opportunity, with the introduction of sound recording, to almost defy discipline,” says Davis. 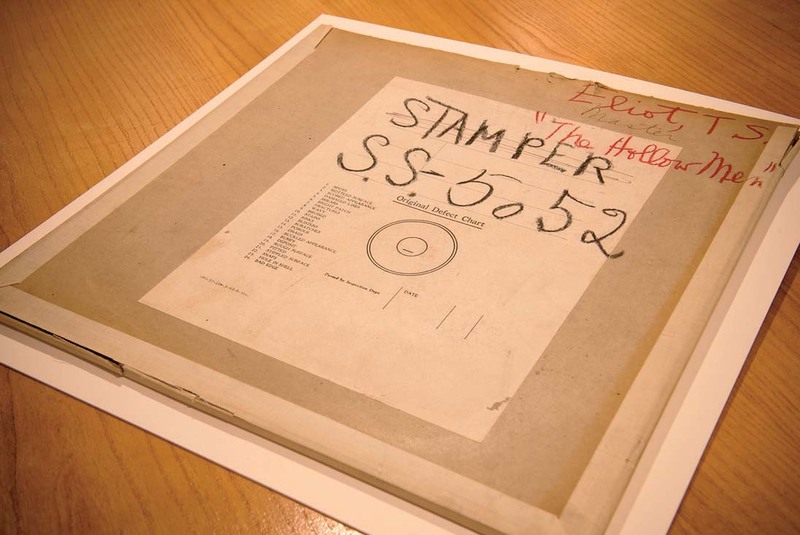 The Poetry Room will release a finding aid for this collection over the summer, a project that sounds simple on its face: it’s an inventory of the holdings, linked to the Harvard Library catalog, alerting researchers to the existence of its various and sundry treasures. But the fragility of various items posed a physical challenge, requiring custom-built enclosures to keep them safe—and the sheer eclecticism of the collection posed an organizational one. “We’re like a cop show,” Davis confirms. “Processing the collection is about finding the balance,” says Graham. “Y’all can hear me, right?” tossed off the poet Tyehimba Jess, sauntering away from the podium at a Poetry Room event last November. At first he declined the hand-held mic Davis proffered. In an undertone, she explained that they needed a clear, direct feed. “Oh, for the camera, huh?” he grinned. At Poetry Room events, posterity is the other, invisible audience. Davis plans with the archive in mind. Views of the Woodberry Poetry Room today, refurbished in 2006, with laptop tables added to the two remaining Aalto-designed consoles. Video encodes more sensory data than audio. Someone could watch video of, say, Rowan Ricardo Phillips’s reading in 2014, and note what he was wearing, the Starbucks cup at his elbow, the snow falling outside. But no volume or density of additional information can put a perfect seal on the historical record. Questions gust in through the cracks. Who was the woman who came in late? Who held the camera, and what did that person do to prompt the poet to make eye contact—first warily, then warmly, like sharing a private joke? Davis makes event audio available on the Poetry Room’s online Listening Booth, and puts a copy in in Harvard’s digital repository; sometimes she also uploads the video on YouTube. Her time with the Packard Collection has made her wonder if she ought to keep files in some second format, perhaps physically. She’s leery of repeating the mistakes of the past. WAV (Waveform Audio Format) files are standard now, and can be played by almost any personal computer, but one day that equipment might be scarce. These days, Packard’s listening posts take the form of earbuds and iPads, loaded up with digitized audio files, screens glowing, though the curators sometimes bring out the actual artifacts, by advance request, for individual study. 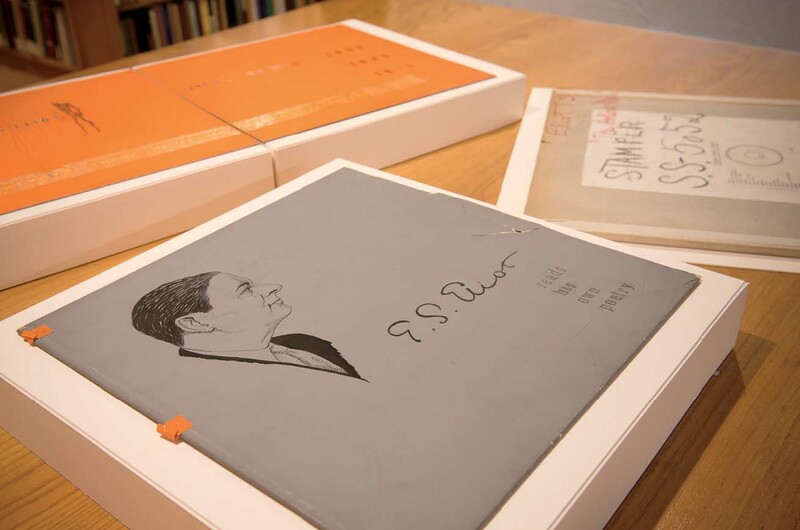 Davis likes to say that the Woodberry Poetry Room’s archive tells the history of transfer. Through it, one could trace the history of recording technology: voices were reincarnated from discs to reels, and then to cassettes, then to CDs—“surprisingly fragile,” she adds—and now to digital files. Each curator sought to preserve the Vocarium audio on what was then the state-of-the-art format; each curator freely exercised editorial discretion about what to copy over, whether due to a format’s physical limitations or their own aesthetic preferences. 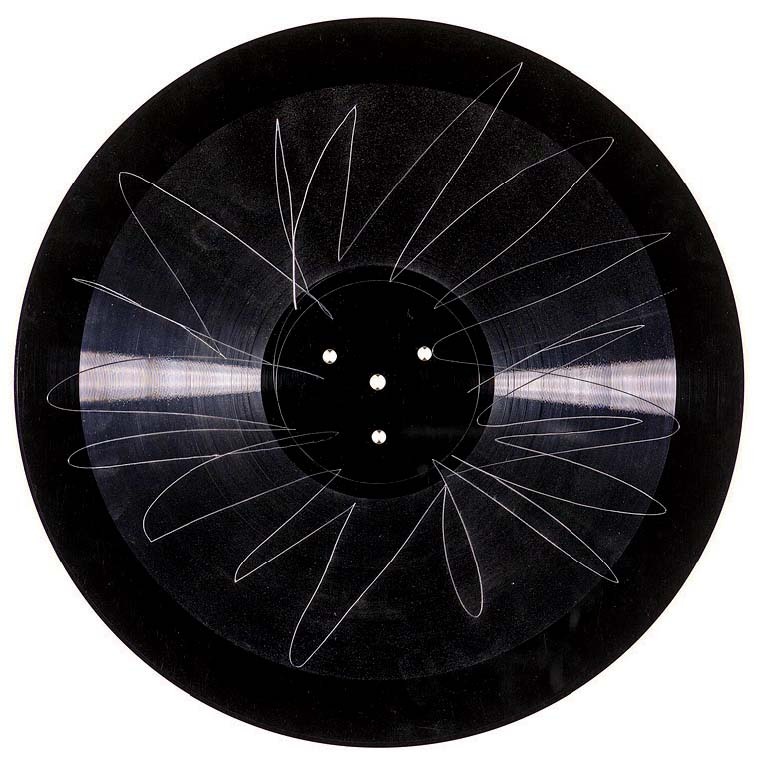 Sometimes records were altered in transfer, the original tracks re-ordered or left off. One reel she and Graham found seems to contain a recording of Robert Frost, and also, inexplicably, a lute performance. Sophia Nguyen is associate editor of this magazine. The Woodberry Poetry Room is overseen by Houghton Library, whose seventy-fifth anniversary celebration was featured in this magazine's March-April 2017 issue.